Some years ago, it happened that an American college student was vacationing in Israel, and paid a visit to some distant relatives he had never met before. His hosts, a large family of recent immigrants from Eastern Europe, spoke very little English, and lived a deeply religious traditional lifestyle. It was the young man's first exposure to Judaism of any kind. Nothing in his previous experience had prepared him for what he termed the "culture shock" of seeing a way of life so vastly different from his own. Later, when asked what it was that impressed him the most, he replied, "It was the old people, the grandparents and great-grandparents." He had never before seen elderly people who were so deeply respected by their children, and children's children, who continued to lead such productive lives, and who remained so cheerful and filled with inner peace. What a contrast to the depression and feelings of uselessness that afflict so many senior citizens in our society today! The popular view of old people is that they are incompetent, "over the hill." Age is considered a serious handicap; the aged are made to feel that they are a burden to those around them. In the business world, they are often forced to retire and make way for younger men or given some minor niche in the company hierarchy --"kicked upstairs," where their advice can be conveniently ignored. Within the family, they are often placed in nursing homes and remembered on Father's Day, Mother's Day, and occasional Sunday afternoons. And the resultant psychological and physical debilitation serves only to reinforce their second-class status in the eyes of the young. Most unfortunate is the fact that society thereby turns its back on the tremendous stock of hard-earned experience and wisdom which older people possess. They have been through various trials and tribulations, have learned ways of coping with many of life's toughest problems, and can be an invaluable resource of sage counsel to younger people lacking this experience. Such a priceless store of knowledge is acquired only over the course of many years. But instead of utilizing this valuable asset to the full, quality is callously cast aside for the doubtful advantage of youth. In the summer of 1980, the Rebbe delivered a public address on the occasion of the 36th yahrzeit of his father, Rabbi Levi Yitzchak Schneerson, who was Chief Rabbi of Yekatarianoslav (now Dnepropetrovsk), Ukraine. The Rebbe spoke at length about the plight of the elderly in contemporary society, and called for a vigorous, widespread effort to rectify the situation. "There should be no such thing as compulsory retirement," he said. "Older people who are compelled, for whatever reason, to relinquish their job or positions, should be helped to redirect their lives productively, for their own sake and for the benefit of the younger generation." The Rebbe proposed that special Torah study classes be established in every community, for men, and for women, on a level appropriate to the particular group. 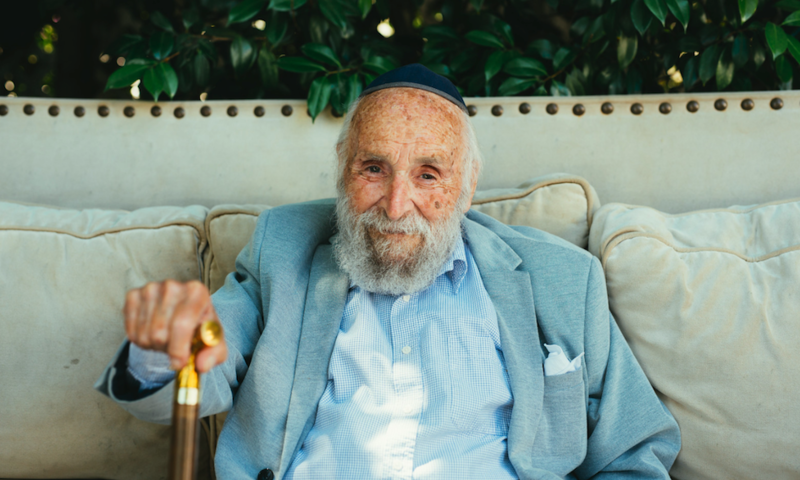 Old age homes, where the staff are constantly seeking new ways of keeping their clientele occupied and happy, are particularly suitable for introducing daily Torah classes. But the Rebbe made clear that he was addressing himself to the needs of all the elderly, and that those who do lead active, productive lives should also take part in these programs. He suggested that the groups be named Kolel Tiferes Z'Keinim ("Glory of the Elders"), and he expressed his heartfelt appreciation for those who would add the name "Levi Yitzchak" after his father, who had so courageously dedicated his life to the advancement of Torah-study among Jews of all ages. In addition, the name Bais Chochmas Noshim (the "Wisdom of Women") was given to classes organized for elderly women. "Many years bring wisdom," says the Biblical verse (Job 32:7). And the Talmud comments that the minds of elderly scholars become more settled with age. The classes, established through Chabad centers internationally, and named Kolel Tiferes Z’keinim Levi Yitzchak have become a means of making the later years truly "golden years." Older people can one again become respected members of the community; feelings of inferiority are being replaced with wisdom, with Torah content; and the elderly are being inspired to share their ever-deepening wisdom with the younger generations, for the benefit of all. These many thousands of study groups are indeed bringing blessings to every individual, regardless of age, and to society as a whole — as alluded to in the Fifth Commandment: "Honor your father and mother, so that your days my be lengthened (in quality as well as quantity) upon the earth which the L-rd your G‑d is giving you." Test Yourself: How Well Do You Know the Chabad Shluchim?